If you work from a home-based office, then you’re already contributing to the environment by reducing your carbon footprint via telecommuting. Way to go! But did you know you can do even more to be eco-conscious, right from the comfort of your own desk? 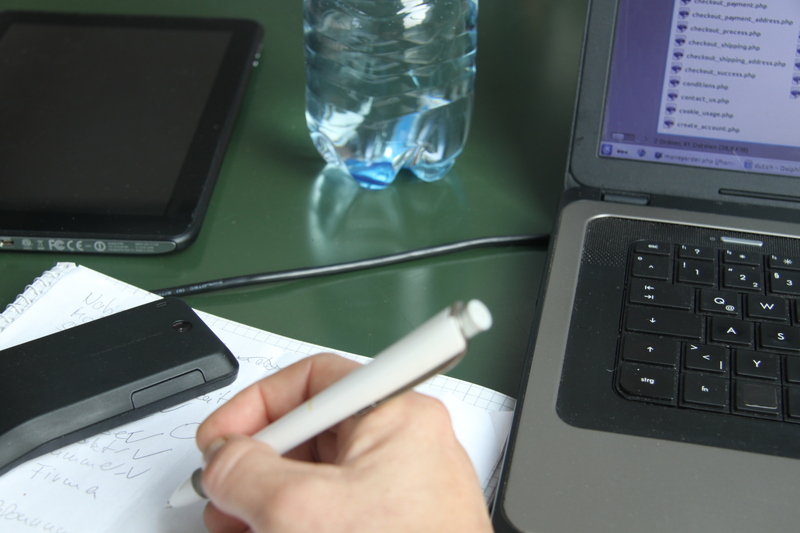 Regardless of how large or small your workspace, there are ways to make it more eco-friendly and productive. “Going green” doesn’t have to be as difficult or intimidating as some people think; in fact, it’s quite easy and convenient. Not only that, but it will benefit your wallet as well, since a home office — outfitted with computers, technology, printers, chargers, adapters, and other electronics — typically uses more energy and resources than any other room in your house. These simple steps that anyone can take will help both you and your surroundings. Save on resources: Be conscious of how you use your office equipment, turning it off, shutting it down, putting it to sleep, unplugging it, or making use of screen savers whenever possible to conserve energy. This will preserve the life of your technology while also decreasing your energy bill. Recycle: Adding another bin next to your trash can in your office will remind you to separate items that can be recycled, like batteries and printer cartridges, instead of just throwing them away. When we take measures to reuse, less is added to trash heaps and more is renewed and refurbished. Cut down on your printing: Before sending something to your printer, ask yourself if a hard copy is absolutely necessary. It’s much more cost-effective and environmentally conscientious to reduce waste and save ink — and your paper supply and printer cartridges will last much longer to boot! Start practicing these eco-friendly habits around your home today to create a cleaner environment for you and your family and to impact the future environment as well. Both you and your world will be better for it. This entry was posted in Green Cleaning on March 28, 2019 by HSE. This is the time of year when most of us typically make some New Year’s resolutions in our lives; whether to lose weight, save money, or spend more time with family and friends. But what goals do you set for your home? January is the best month to set some goals around your house because you are usually taking down holiday decorations and already cleaning and sorting through your items. Setting new goals for your home will make it more efficient, clean, and green for the coming year. One of the best ways to start feeling better about your home is to clear out some of the clutter! Each year, most of us accumulate many things that we don’t ever use. But without regular purging, all that stuff can become jam-packed in drawers and cabinets. Resolve to go through each room and throw out or donate any items you are not using. 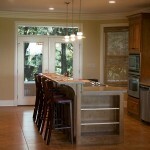 Clear off your kitchen counters and keep them spacious and clutter free. 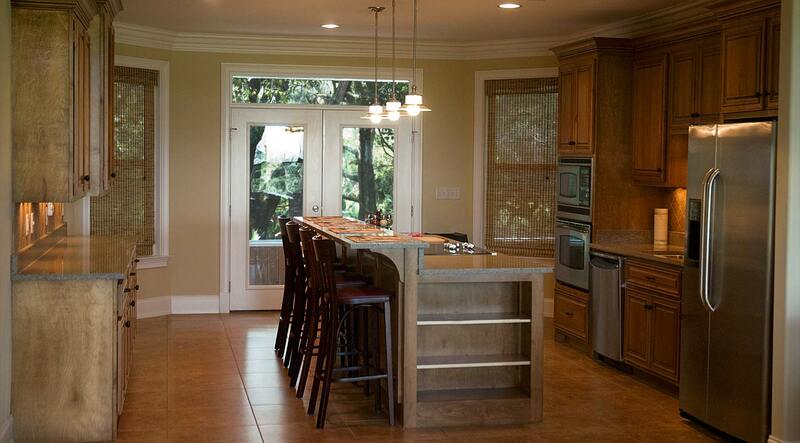 You will enjoy the cleaner look of your home and be able to find things more quickly and easily. 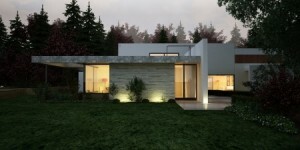 The best way to start going green in your home is by cutting energy usage. There are a few things we take for granted around the house as far as lighting and energy usage is concerned. Making an effort to turn off the lights and TVs when you leave a room or turn down the heat or air conditioning when you leave the house will cut down on your energy usage and will make a difference in cutting your energy bills so you can save money at the same time. Cleaning up around the house at the end of the each day or in the morning when you wake up will help keep your home organized and tidy. Keeping up with the dishes in the dishwasher and dirty clothes in the hampers every day can eliminate the clutter and mess around your home. Try enlisting family members to help with dusting and vacuuming each week so that dust does not pile up, making it even harder to clean later on. Using green cleaning products while washing floors, counters and bathrooms will keep the air in your home fresher and cleaner and may be more cost efficient if using natural products that you store in your home such as vinegar and baking soda. And if your schedule is too busy to allow daily or weekly cleanings, Home Services Enterprise can help with regular cleaning and organizing of your home. You can begin your new year with a happier and cleaner home for you and your family! This entry was posted in Green Cleaning, Organization on January 4, 2019 by RWS Consulting. Many cleaning products can be found just about everywhere in our homes and offices: on furniture, clothing, floors, windows, doors, and basically every single surface we come into contact with. Waging a war on dirt and germs may actually be making things worse instead of better! Most conventional cleaning products we use every day contain petroleum-based substances that can be harmful to both our health and our environment. 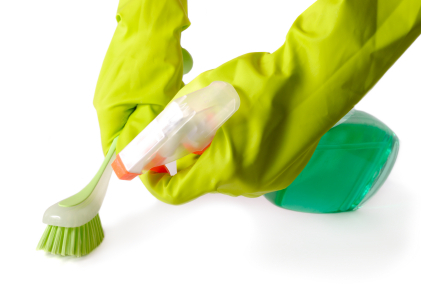 Cleaning products are meant to kill germs, but they don’t necessarily have to be made from strong and toxic ingredients. There are many good options for using natural products and cleaning methods available to us. As we are starting to realize the impact conventional cleaning products have on our health and the environment, more and more brands are now offering healthy and effective green cleaning products. It’s also easy to make your own: vinegar and baking soda mixed with water can also be used to clean almost anything. Keeping the windows open and airing out your rooms is one way to freshen up the air to remove any indoor toxins present, leaving the air you breathe healthier and fresher. This is especially important while you are cleaning your home or office. Antibacterial cleaners and overuse of them don’t necessarily make things any cleaner but do run the risk of breeding “super germs”, which are bacteria that can survive most cleaners. It has been proven that antibacterial soaps do not work any better than plain soap and water. Employ a green cleaning service today. Hire a cleaning service that uses only green cleaning products and practices green cleaning methods to keep your home naturally clean and healthy. This entry was posted in Green Cleaning on September 20, 2018 by HSE. 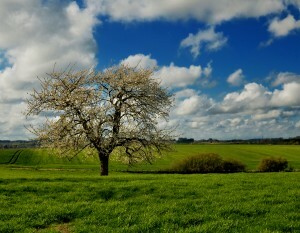 Springtime is the season of renewal… with flowers blooming and spring rains here to help things grow. Of course, that also means that the trees, flowers, weeds, and grass that are blossoming spread pollen throughout the air – which makes springtime the height of allergy season for many people who suffer from seasonal allergies. Often times, along with the rains making everything green outside, we are also renewing our homes inside with spring cleaning. This has the potential to bring out dust mites, and may cause some allergies to worsen. 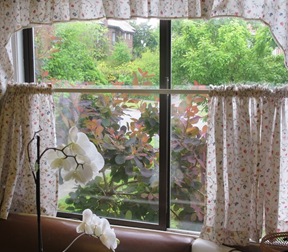 Keeping your indoor air clean is important so that you don’t allow more pollen to seep in through doors and windows. Keeping windows and doors closed as much as possible will help reduce the pollen inside, and the air you are breathing will be cleaner air. Be sure to change filters in air conditioning units and vents frequently. Area rugs can be washed once a week, and this will help remove any pollen brought in from outside. For the wall to wall carpeting, professional steam cleaning is best to have done mid-season. This will help to remove pollen tracked in from outside. It’s also a good idea to wash bedding once a week in hot water to remove any allergens. Hiring a professional cleaning service to come in and clean, dust, and vacuum all the surfaces in your home will not only create an inviting space, it will also greatly reduce allergens. This will help keep all your surfaces that you touch on a daily basis free from dust, allergens, and pollen build-up. This entry was posted in Allergies, Green Cleaning on June 7, 2018 by HSE. Back to School? Time to Clean and Organize! Now that the kids have gone back to school in the Rockville area and summer vacations have come and gone, the house is empty and (hopefully) quiet. This is the perfect time of year to clean and purge your home of unwanted items. Why not go through all the things you and your family members have accumulated all year long and decide what you’d like to keep, donate, or throw out? With everyone is out of the house for most of the day, it’s much easier to go through and clean, organize, and donate things that are no longer wanted. 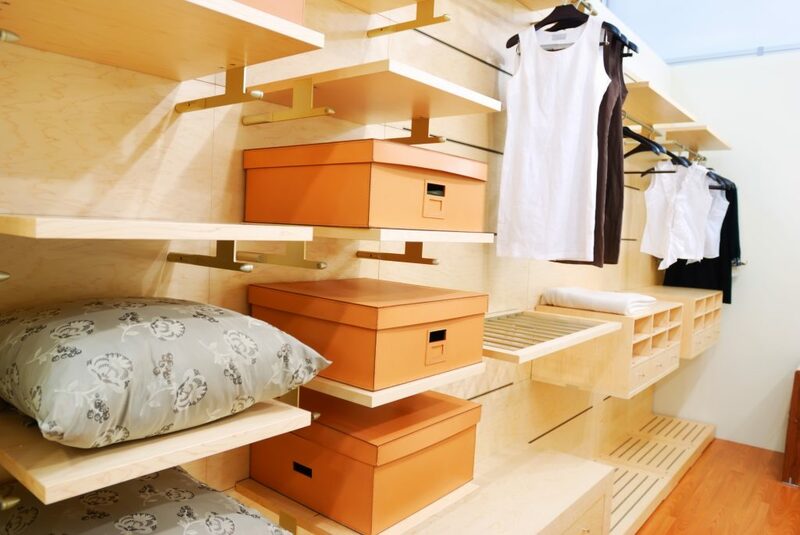 Once that is accomplished and your home is more spacious and less cluttered, it’s time to clean and organize! Home Services Enterprise offers a wide variety of Standard Cleaning Services and Special Services. 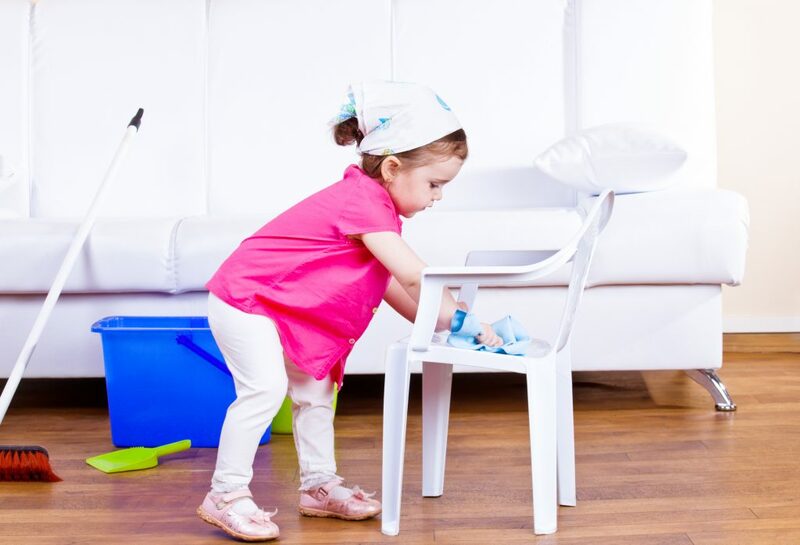 With all the cleaning services that are offered, you can enjoy that same old-fashioned cleaning that your mother and grandmother were proud of in their day. Your home will feel refreshed both inside and out! This entry was posted in Green Cleaning, Organization on September 11, 2017 by HSE. These days, most people are at least somewhat concerned about all of the chemicals that can be found in our food, cleaning products, clothing, and just about everything else. The good news is that it’s getting easier and easier to find natural products. The bad news is that these products are typically quite expensive. The great news is that making your own cleaning products with the supplies most of us already have at home will be less costly and much healthier for both you and our planet. You may even have memories from childhood of our mothers and grandmothers using these methods. There are three natural ingredients found in most homes – vinegar, lemon juice, and baking soda – that are used not only for cooking and baking, but also for cleaning your home. How Vinegar Works as a Cleaning Agent: Vinegar’s active ingredient, acetic acid, is a strong cleaning agent that dissolves dirt, grease, and grime build-up. It also kills germs, mold, and bacteria. Use white vinegar because it’s less harsh and will not stain light surfaces. Using Vinegar in the Kitchen: Mix equal parts vinegar and water, then pour it into a spray bottle. Spray this on your stove top, appliances, and countertops, then wipe them down. Using vinegar and water to clean tile floors in kitchens will leave them shiny and clean. Using Vinegar in the Bath: Using straight vinegar, wipe down the bathtub, toilet, sink, and countertops. Use equal parts vinegar and water to mop the bathroom floor. Lemon Juice and its Uses: Lemon juice is a natural ingredient that can be used to clean certain items in your home. Lemon juice can dissolve mineral deposits and soap scum. It’s also a good for cleaning and shining stainless steel, copper, and brass fixtures throughout your home. Lemon juice has the added benefit of keeping your home smelling fresh and clean. Baking Soda: Baking soda is a great deodorizer for your home. Place an opened box in your refrigerator to absorb odors from food. Baking soda also acts as a mildly abrasive cleanser that can be used to scrub surfaces throughout your home. It will keep odors away and your home smelling clean. This entry was posted in Green Cleaning on August 1, 2017 by HSE. Now that the excitement of the holidays had settled, you may look around your home and find a bit of a disaster area. Whether you had holiday gatherings and house guests or traveled to see loved ones, the change in routine that the holidays bring can make it hard to keep things clean and organized. Have a party. Organize cleaning parties with a small group of friends where you all agree to help clean each other’s houses. Choose whose house will be first, and make the cleaning process fun by having races, singing along to loud music, and enjoying the support of community. Take a vacation. If cleaning parties sound like the furthest thing from fun to you, hire a cleaning company (like us!) to come in while you’re on vacation and take care of everything for you, from laundry and dishes to organizing closets and paying your bills. Barter the broom. Another creative way to get your house clean is to barter with a friend or neighbor. Find something you love to share with others (cooking, for example) and barter for cleaning services – trade a few homemade casseroles for a clean house. Take it slow. If you’d rather clean things yourself but don’t have much time, remember that you don’t have to do it all at once. Try doing one room a day. Or start with dusting, and do the bathrooms another day and floors another. Taking small but consistent steps can get your house clean and keep you stress-free. Get the kids involved. Make it a family event where everyone pitches in. And to celebrate the teamwork, take each other out to the movies or dinner when you’re done. The best part is that you’ll come home to a nice, clean house! No matter how you choose to clean house, the results are always worth it. We encourage you to have fun with the process, and to call us if there is anything we can do to help. We wish you a Happy, Clean, and Healthy New Year! This entry was posted in Green Cleaning, Organization on January 4, 2017 by HSE. No matter how clean you keep your house or how hard you try to stay on top of keeping things neat and organized, there are always those little things that build up and need some special attention every once in a while – especially in the kitchen. The toaster oven is one of the most versatile appliances in the kitchen. To give your toaster oven a thorough cleaning, start with the crumbs. Remove the crumb tray, and dump any crumbs out of the toaster oven and into the trash. Next remove any cooking racks and clean either by soaking in soapy water until baked-on food is easy to remove. Finally, clean the oven itself with your preferred all-purpose cleaner, paying special attention to the glass. The kitchen sink is something that may need special attention more often than anything else. You can clean any spots or grime in your sink with an all-purpose cleanser. To sanitize your sink, fill it with warm water, and add a tablespoon of bleach. Let that sit for about ten minutes, and then rinse it all out. If you have a garbage disposal, there is an easy way to both keep it running smoothly and smelling nice. Cut a few lemons into thin wedges, place them in a Ziploc bag, and then freeze the wedges. Any time your disposal needs a little freshening, simply put a few frozen lemon wedges down the drain and turn on the disposal for about ten seconds. Then turn on the water with the disposal still running for another few seconds, and viola – you have a clean and fresh garbage disposal. Save the rest of the wedges in the freezer for next time. The most important thing you can do for your refrigerator is to go through its contents regularly, throwing out any old or expired food. Aside from that, give the trays and drawers a quick wipe-down or scrubbing as needed. With the holidays right around the corner, it’s a good time to make sure your kitchen is ready for anything. Even if you’re not cooking any big meals at your home, cleaning out your fridge will ensure that you’re ready to receive leftovers and sweets at any moment! This entry was posted in Clean Views, Green Cleaning, Organization on November 3, 2016 by HSE. This is the age of getting back to basics by “going green” and using natural, environmentally friendly products in your home, eco-friendly clothing and organic foods. Using eco-friendly products is being widely accepted as healthy for our planet but may not be the most cost-effective in terms of buying specially-made products with special ingredients deemed healthy for our planet. Making your own cleaning products with natural supplies you already have stocked in your home may be the easiest, most cost-effective way of going green in your home. You can use three natural ingredients found in most households such as vinegar, lemon juice and baking soda, which are effective cleaning products. The active ingredient in vinegar is acetic acid which can be a strong cleaning agent that dissolves dirt build-up, grease and grime. It is also effective for killing germs, mold and bacteria. Using white vinegar will cut down on any staining that may occur. Vinegar in kitchen & bath – using vinegar in the kitchen is done by mixing equal parts of vinegar and water in a spray bottle. Spray on stove top, appliances, countertops to make them clean and shiny. For the bath, spray on bathtub, toilet and sink. It can also be used it to clean tile floors in the kitchen and bath. Lemon juice uses – lemon juice is a natural ingredient used to clean and dissolve mineral deposits and soap scum. It can also shine stainless steel, brass and copper fixtures throughout the home. Lemon juice keeps your home smelling fresh and clean. Baking soda uses – an effective deodorizer for your home. Place opened box in your refrigerator to absorb odors. Baking soda is similar to a non-abrasive cleaner which is used to scrub hard to clean surfaces in the home. It will keep your home odor-free. Home Services Enterprise can clean your home using eco-friendly natural products if you don’t have the time in your busy schedule. Microfiber cloths are used to keep dust from becoming airborne and irritating allergy and asthma sufferers. This entry was posted in Clean Views, Green Cleaning on March 20, 2015 by HSE.